Scarlett and Gunnar start filming a music video for their new single "All Of Me". Problems arise when the director wants to go in a direction that Scarlett isn't comfortable with. Rayna is still trying to figure out who is sending her letters and gifts. Her and Bucky investigate Randall when they notice something missing from Rayna's office. Maddie continues to hang out with Clay. They have a lot in common but Clay has some concerns. The director takes Gunnar out for drinks and tries to get to know him better. Back on set, he keeps pushing Scarlett to be something she's not. When she tells him how she feels, a power struggle ensues. 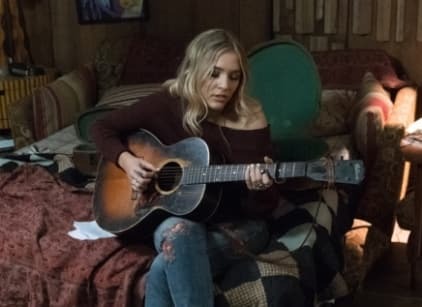 Maddie writes a new song and plays it for Clay who is still unsure whether they should start a relationship. Rayna drops by the music video set and immediately sees that something is wrong with Scarlett. She questions the directors method but it shut down by her new business partner. Maddie goes to Juliette for advice about Clay. Scarlett and the director continue to clash. Clay gets into some trouble when he's playing his guitar on the streets. Maddie finds him and tells him how she feels. Rayna and Deacon get a surprise guest at their house. The director finally gets through to Scarlett and the music video is finished. Rayna comes face-to-face with her stalker.